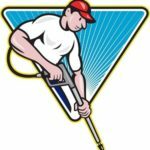 A clean and beautiful home Local Pressure Washing Service in Bluffton, SC does not only offer comfort to the owner coming home to it, it also gives them the confidence to invite people over. That is why we want to keep our home this way both indoors and outdoors. However, time and elements may cause our home to accumulate grime, especially the exterior. And as much as we try, we can never really get around to cleaning our house regularly. Using a pressure washer is the solution. It gets the job done in no time. But hiring a good local pressure washing service is an even better idea. Pressure washing can help get rid of tough stains that soap, water, and other cleaning solutions cannot remove. Instead of buying new replacements, a simple pressure wash can make all the difference you need. With a pressure washer, you will be able to blast spaces and things that will leave your home’s exterior looking as good as new. 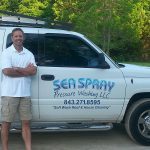 If you are looking for a local pressure washing service in Bluffton, SC, you can rely on Sea Spray Exterior Cleaning. Our years of experience in Bluffton pressure washing and proven track record mean that we will be able to deliver the best results for you. Don’t believe us? to avail our outstanding pressure washing service so you can see for yourself. But What Exactly is A Pressure Washer? A pressure washer is a machine that uses high-pressure water to get rid of grime, loose paint, dirt, mud, mold, and dust from surfaces and objects such as rooftops, gutters, vehicles, and buildings among others. When it comes to the cleaning of large surfaces around your home that includes your wood fence or the whole home exterior, you can definitely rely on a pressure washer. The power of the pressure washer is able to remove stubborn stains as well as dirt on various surfaces. Once done, the wooden walls and bricks of your home’s exterior will be looking as good as new. If you ever feel overwhelmed by the amount of work you have to put in, you can book a local pressure washing service in Bluffton. Garden furniture such as seats and tables are prone to gathering dirt and grime over a period of time, especially if they are not cleaned frequently. In most cases, even bleach is never enough to remove the dirt. When it comes to your outdoor garden or furniture, using a pressure washer can do the magic. Besides, we can use it for cleaning plastic, vinyl, and wood leaving your outdoor furniture cleaner than they were before. But if you don’t own a pressure washer, don’t worry. You can always hire a local pressure washing service in Bluffton. Gutters can store lots of dirt such as leaves and flowers from trees around your home. 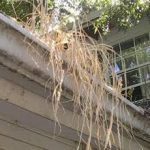 Proper care of your gutters can go a long way in keeping your roof from leaking. It will also enable you to prevent any possible damage to your landscape caused by overflowing water. This can be achieved by a quick and easy pressure washing. You can even seek help from a Bluffton local pressure washing service. Like your gutter, your home’s roof is essential and making sure that it is properly taken care of means extending its lifespan. Getting a local pressure washing service in Bluffton saves you from replacing your roof every now and then due to damage from bacteria such as algae. Your car must have some stubborn stains especially if you drive around a lot. When it comes to getting rid of stains from your cars or trucks, there is no better way to do it than hiring a professional pressure washing service. You might think it’s enough to have a garden hose, but really, it isn’t. Garden hoses can’t get rid of all the dirt and stains from your car like a pressure washer can. They are able to clean much faster and more thoroughly. Due to busy schedules and other more pressing matters, Local Pressure Washing Service in Bluffton, SC we always end up neglecting to clean the outdoor areas of our home. This is true even for those who own a pressure washer. Sea Spray Exterior Cleaning’s local pressure washing service can take care of this for you with our top-notch pressure washing service. You can say goodbye to dirty walls and wasted weekends spent scrubbing your house. Our Bluffton pressure wash services have been tested through years of experience. Our top priority is to ensure that our clients are happy and that our Local Pressure Washing Service in Bluffton, SC service is exceptional. With that, we have a team that offers the best customer service and is always up-to-date on the latest pressure washing machines to prove to you that we are the best local pressure washing service around. For the best local pressure washing service in Bluffton, and book an appointment with our professional team. Call Sea Spray Exterior Cleaning Services Today and let us help you!